Electivire in game: 978 Who? Important notice! Pokemon Electivire is a fictional character of humans. 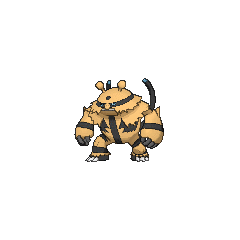 Electivire (Japanese: ????? Elekible) is an Electric-type Pokémon introduced in Generation IV. 3.3In the Pokémon Diamond and Pearl Adventure! 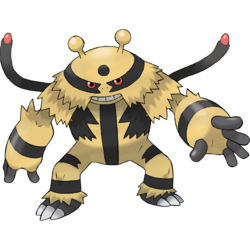 Electivire is a humanoid creature covered in yellow fur with black stripes. It appears to lack a neck, and has red eyes, a black spot on its forehead, and a pair of antennae with bulbous tips. A pattern on Electivire’s back resembles an electric outlet. The fur on its cheeks and shoulders is spiky and ruffled. Its two black tails have red tips. Electivire has black feet with three, clawed toes, and five black fingers on each of its hands. 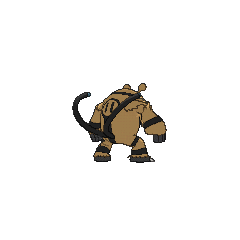 Electivire is known to be recklessly careless regarding enemy attacks. It uses its tails to make contact with its opponents, and shocks them with over 20,000 volts. Blue sparks fly between its antennae as its electric charge amplifies. Electivire usually feed off electric currents. In the anime Electivire has been seen eating fruits from trees. 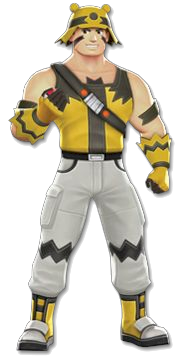 Gary Oak used an Electivire to battle against Ash's Pikachu in Home is Where the Start Is!. It appeared again in Ill-Will Hunting! where it helped Gary protect four Shieldon. Paul had an Electabuzz which evolved into Electivire prior to Casting a Paul on Barry!. 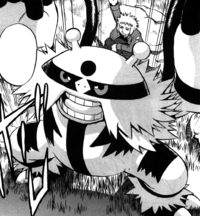 Volkner used an Electivire in The Eighth Wonder of the Sinnoh World! during his Gym battle with Ash. It defeated Ash's Torterra but lost to Ash's Pikachu. Another Electivire appeared in Zoroark: Master of Illusions under the ownership of a Pokémon Baccer participant. 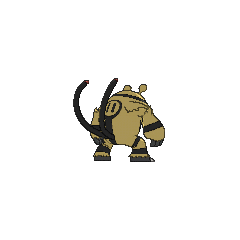 Mars of Team Galactic is shown in possession of an Electivire. However, it is only present in the graphic novel releases, replacing the Luxray that occupied the role of transferring electric power needed for the completion of the Galactic Bomb. Like in Pokémon Platinum, Volkner is also seen owning an Electivire. 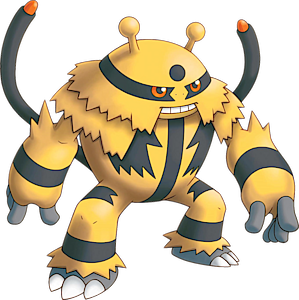 Electivire was likely based on a gorilla due to it being two-legged and its hairy features. It may also be based on a Yeti, an ape-like cryptid that was said to inhabit the Himalaya Mountains. Unlike a gorilla, it can walk with its large bare-feet much like how an Electivire can. Its Motor Drive Ability is similar to an electric motor. Mark on its back resembles a socket. Its horns may be based on tesla coils. Mandarin Chinese ???? / ???? Diànjímóshòu Literally "Electric shock magical beast"